Our visa and passport department is a business unit of the company that is known externally as World Passports & Visas. Our wealth of experience in this area provides comprehensive service including renewals, new applications, visas, and expedited service when necessary. It has been in existence for over 20 years and provides an unparalleled level of service excellence to GlobalPoint Travel’s clients, the public, and other travel agencies. Our long standing relationships with couriers and consulates make for consistently quick and accurate turn-around for all requests. World Passports and Visas has high customer service accolades from the public, other travel management firms and corporate clientele. 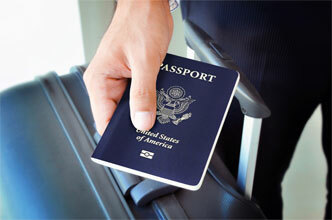 Please contact us to discuss your passport and/or visa needs.